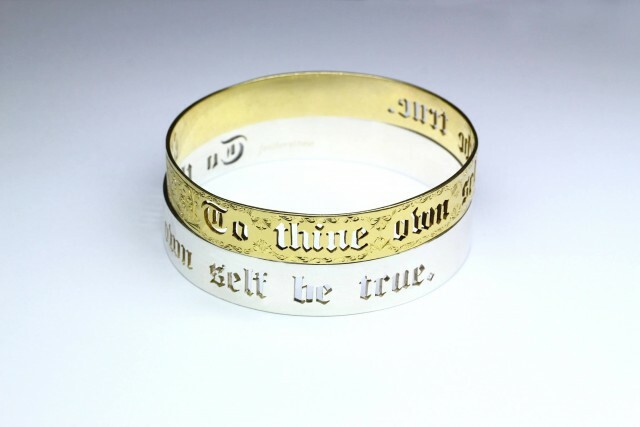 Look around the Featherstone studio on any given day and you’ll see at least a few – the signature “To thine own self be true” bangles. Beyond being a beautiful, strong piece of jewelry, the bangles are a constant reminder for us to follow our own paths. One of the things we love about our collection is that it lets us do just that – recreate our look to reflect the most current iterations of ourselves. 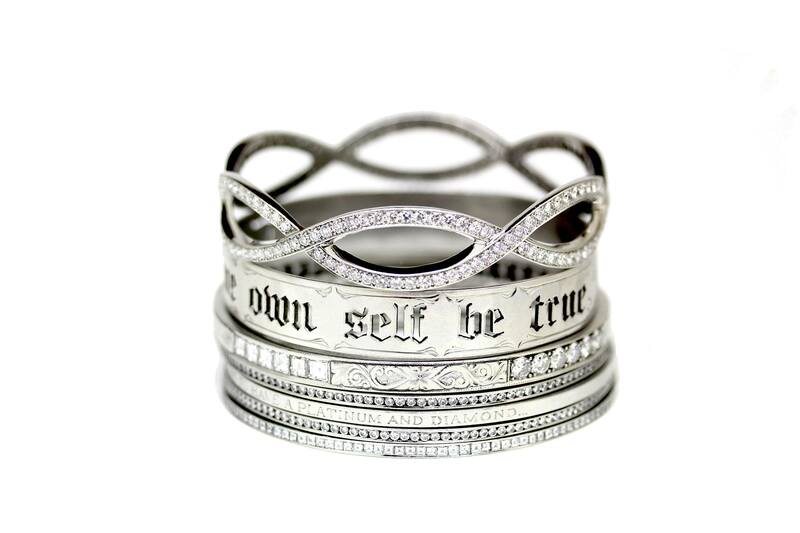 We haven’t grown tired of these bangles yet – though maybe that’s because they have gone through so many iterations themselves! It means a lot to us that the Featherstone line helps our clients feel unique and beautiful in a way that reflects their true selves. 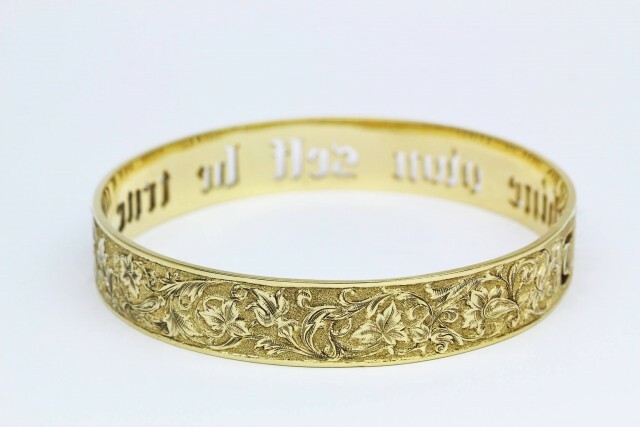 This bangle is a shout-out to all of you, an appreciation of the one-of-a-kind people we get to build for. Your individuality is what inspires us! 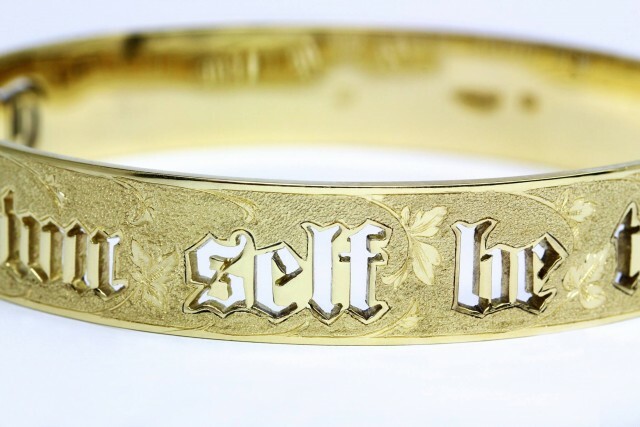 To thine own cool, special, spirited selves – stay true! Our To Thine Own Self Be True Bangles. 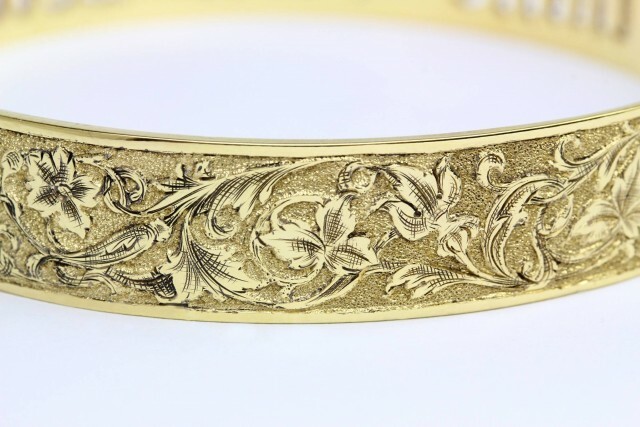 Available in 18K Yellow & Rose Gold, Platinum and Sterling Silver. 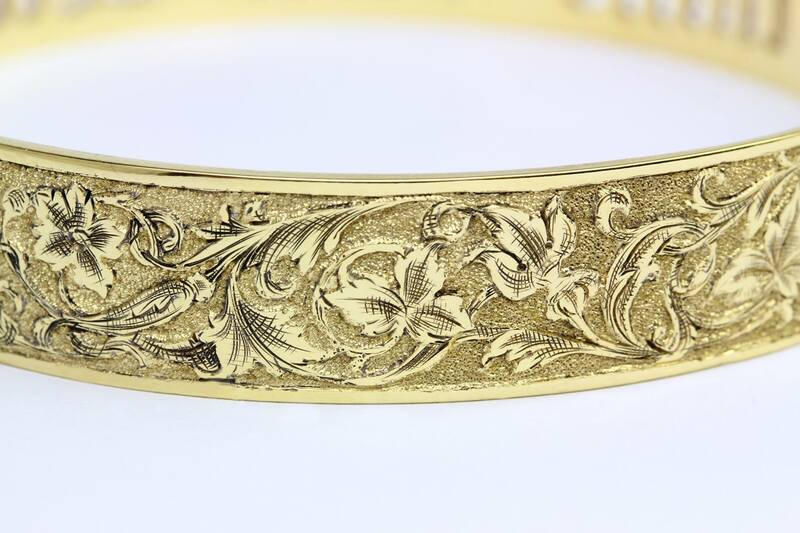 An example of a hand engraved 18 Karat Gold Bangle.